We spent the past weekend taking our dad from Oklahoma City down to Dallas for the Red River Rivalry, the Oklahoma-Texas game (we’re talking college football here, don’t you know). Dad’s made his way to Big D for the big game every year but three since 1948, which means he’s been on hand for 58 percent of the 106 games played between the two heated rivals—a pretty impressive feat, in our view. 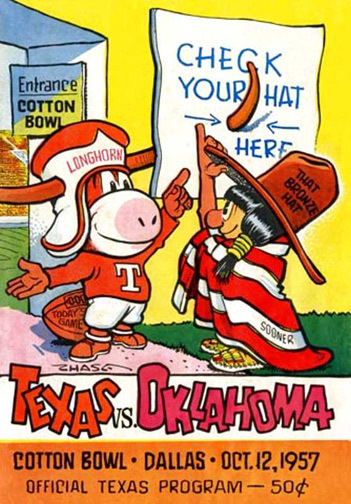 The series, which kicked off in 1900, has been played in the Cotton Bowl, on the state fairgrounds (while the State Fair of Texas is underway, mind you) since 1929, and it’s a setting like no other in college football. The stands are divided at the fifty-yard line—half the stadium’s sporting burnt orange, the other half crimson—and everyone’s out for blood (figuratively speaking, mostly). Dallas sits halfway between Norman, Oklahoma, home to OU, and Austin, Texas, where UT is found, so, aside from those locals who may have scored tickets, it’s an away game for everyone, and the fans behave accordingly (for good and ill). Our Sooners took care of business in a big way this year—55-17 is an all-out beatdown in this typically competitive game—but we won’t bore you with video highlights from that big win. Those wouldn’t fall within this site’s purview. Instead enjoy this five-minute roundup of the 1957 contest. 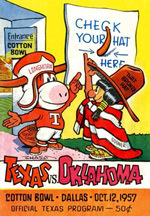 The Sooners were 43 wins into their all-time record 47-game winning streak, and though the Longhorns made a strong showing, they would suffer their sixth loss in a row to the Crimson and Cream (OU was really good in the 1950s). Enjoy the action, and note the fun narration throughout. If you like your football commentary alliterative, this is the clip for you. P.S. If you missed the latest installment of Pitch Perfect on Monday, don’t fret. It’ll return on October 17. We’ve been dealing with computer issues over the past week, but we’re almost back up to speed. If we told you the picture on the right was George W. Bush in Ronald Reagan drag, you’d almost believe it, wouldn’t you? It certainly looks like Dubya, only with the Gipper’s hair. But it’s not—it’s character actor Guinn Williams, often called “Big Boy,” whose career began in 1919 and lasted until the 1960s. Big Boy and Dubya share more than just facial features. They’re both Texans, though Williams was the genuine article, born and raised in the Lone Star State. They both shared a name with their fathers. And they both were sons of politicians, though Williams’ dad began his career as a rancher (and we’re guessing he did more than clear brush) and a banker before first becoming county clerk of Wise County, Texas, from 1898 to 1902, serving as a member of the State senate from 1920 to 1922, and then serving in the House of Representatives from 1922-1933. Oh, and the senior Williams was a Democrat, another key difference. Rep. Williams’ son Guinn was given the nickname “Big Boy” by none other than Will Rogers. Guinn stood 6 feet, 2 inches tall and was muscular, so the handle was an apt one. 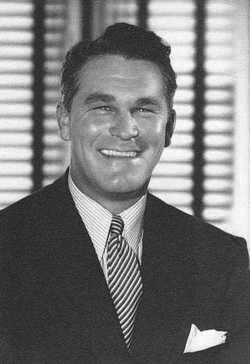 Though he acted in many other types of pictures, Williams was perhaps best known for his work in westerns, in which he generally portrayed a dim but likable second banana to the picture’s rootin’-tootin’ hero. 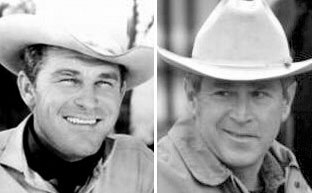 We’ve never seen a Guinn Williams picture without being reminded of Dubya; we find the resemblance striking. Watch the clip below, taken from Rafter Romance (1933) and also featuring Robert Benchley and Ginger Rogers, and see if you don’t agree. 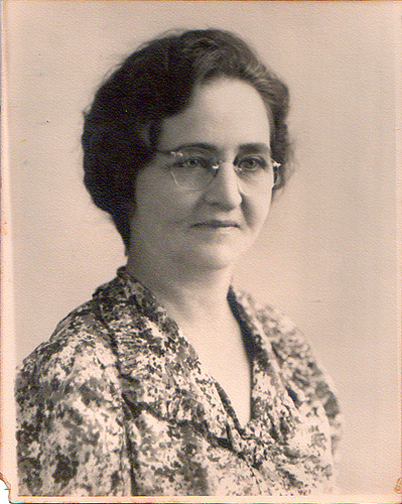 We only knew one of our great-grandparents, our mother’s grandmother Maude Ellen Johnson Oakes, who as a teenager in the 1890s, traveled with her family in a covered wagon from Illinois to Oklahoma. She lived to the age of 92, so in her lifetime, she saw an astonishing number of changes. Think of it—she came to Oklahoma in a covered wagon in her youth and lived long enough to see men on the moon, not to mention the advent of cars, radio, moving pictures, television, women being given the right to vote (she was nearly 40 then), the civil rights movement, and on and on. 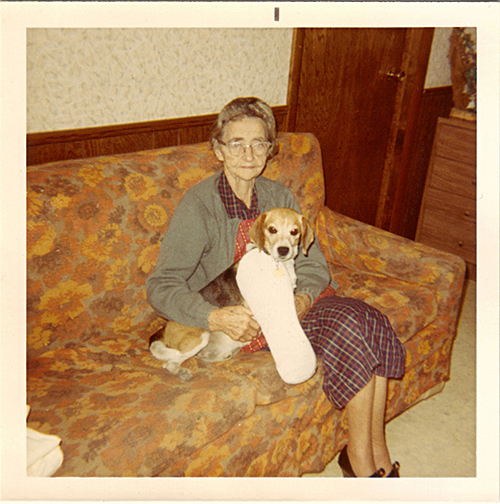 Distracted by the tunnel vision of youth, it never occurred to us to ask Maude, who was in her eighties and nineties when we knew her, about her husband, and though we’re not proud of it, we’ve long considered genealogy buffs kind of, well, dorky. But with the recent passing of our mother and our weekly devotion to Who Do You Think You Are?, the notion of tracking down info on our ancestors suddenly began to appeal. We took Ancestry.com, which is featured frequently on WDYTYA?, up on their offer of a two-week trail membership, and began digging. It’s remarkable, really, what one can uncover in a short amount of time. In 1900, Maude married a man named Patterson Nehemiah Oakes, who was born in North Carolina (as was his father before him; his mother was born in Tennessee). Maude was born in Illinois (Taylorville, we learned from a news clipping published at the time of her death), as was her mother. Her father was born in Ohio. In 1910, Maude and Patterson lived in a town called Canadian in the Texas panhandle. All three of their sons—Cecil (my grandfather), Herbert, and Elmer—had already been born. Patterson was working as the manager of a confectionery. 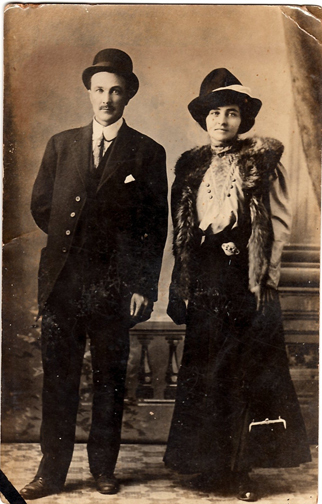 In 1920, they were still married and living in Pauls Valley, Oklahoma, about 60 miles south of Oklahoma City. Their address was 102 N. Elm Street. Patterson was a civil servant—a rural carrier (which I’m guessing refers to mail). Maude was a saleslady at a dry goods store. Maude is listed in the 1920 census as being 37 years old, which is a couple of years younger than we thought—we had her as being born in 1881, but perhaps she fudged her age a bit? Patterson was 41. One additional tidbit of info: According to that census, everyone in the family—Patterson, Maude, and their three sons Cecil, Herbert, and Elmer—could read and write. We’ve not managed to pin down the date, but Maude and Patterson were divorced sometime relatively soon after that 1920 census was taken. We know it wasn’t long after the census because Cecil, their eldest son who was born in 1904, was still in high school at the time. We may never know why Maude and Patterson (did he go by Pat? Not sure) parted—Granddad never spoke of the divorce or, indeed, Patterson himself to our mother and her siblings. Now, let’s jump forward to 1930. Patterson is now married to a woman named Ellen, who was born in Indiana (as were both her parents) and was 12 years older than Patterson. In 1920, he is 52; she is 64. Ellen has been married before (as has Patterson, of course). They live at 338 East 3rd Street in Oilton, Oklahoma, about 39 miles west of Tulsa, where he is employed as the manager of a filling station. Ellen works as a seamstress out of their home. They own a radio (yes, that was a question on the 1930 census). 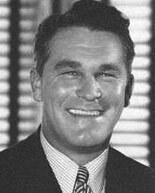 Patterson died in 1948. The date, place, and cause of death we’ve not tracked down, though we’re still on the case. Maude died in February 1972, on our mother’s birthday. That’s all we have so far. I’d still like to know what came between Patterson and Maude in the early 1920s, but when you consider that, six or seven weeks ago, we didn’t even know a single thing about Maude’s husband—not even his name—it’s not a bad start.